The Kinsey Collection was amassed by Bernard and Shirley Kinsey and includes authentic artifacts, books, letters, manuscripts and photographs that document the African-American experience from 1595 to modern day. Former Xerox CEO Bernard Kinsey will share pieces of his collection, introduce the “myth of absence” concept that has shaped views of African-Americans, and shed light on the unknown history of African-American leaders in U.S. history. CSUSM’s College of Education, Health and Human Services (CEHHS) is sponsoring the event in conjunction with the San Diego County Office of Education. The program is from 10 a.m.-2 p.m. Tickets are $25 for students, $75 for others and includes lunch. The first 50 CSUSM students to register will receive free admission. 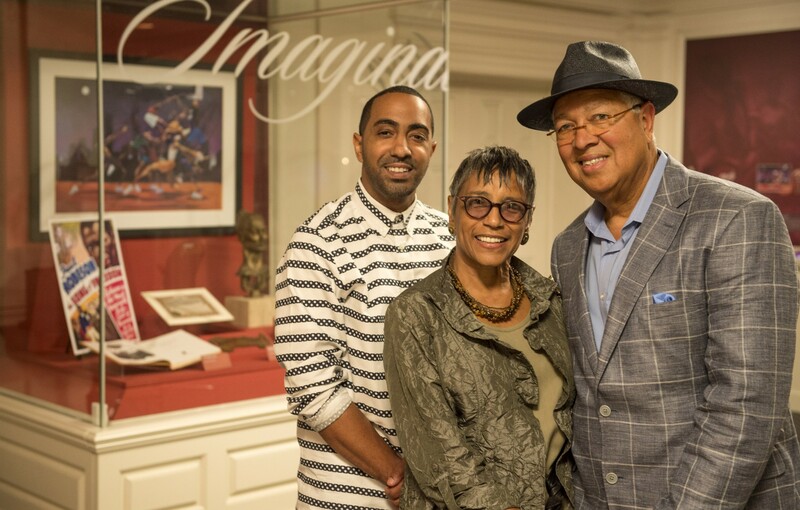 What: The Kinsey Collection, an exhibit amassed by Bernard and Shirley Kinsey containing authentic artifacts, documents, photographs and more that document the African-American experience from 1595 to modern day. Building on an innovative 26-year history, California State University San Marcos is a forward-focused institution, dedicated to preparing future leaders, building great communities and solving critical issues. Located on a 304-acre hillside overlooking the City of San Marcos, it is the only public four-year comprehensive university serving North San Diego, Southwest Riverside and South Orange Counties. The University enrolls over 15,000 students. With approximately 2,000 employees, the institution is a Great College to Work For® (The Chronicle of Higher Education). As a recipient of the annual HEED Award since 2014—a national honor recognizing U.S. colleges and universities that demonstrate an outstanding commitment to diversity and inclusion—CSUSM is committed to creating a diverse and inclusive environment.